This book offers proven strategies for moving polarized parties to consensus solutions based on the author’s 25 years of mediation experience, including working with pro-life and pro-choice leaders to change the rhetoric of the abortion debate; with citizens of a failed city to reclaim their democracy; and with government, the crane industry, and unions to develop consensus federal regulations to protect workers. During secret meetings in the wake of fatal attacks at two women’s health clinics in Massachusetts, as pro-life and pro-choice leaders continued to vehemently disagree about when life begins and a woman’s right to choose to terminate her pregnancy, they also acted in concert to protect born people from violence. When crane accidents accounted for the highest incidence of worker fatalities and serious injuries in construction, the crane industry, unions, and the federal government engaged in regulatory negotiations that resulted in consensus standards to protect workers. As a result, fewer people will fall from or be crushed by cranes in the U.S.
After being pulled back from the brink of bankruptcy, the City of Chelsea reclaimed its democracy after citizen-representatives negotiated the terms of a new city charter with systematic input from thousands of fellow citizens. Ten years later, the city balances its budgets and attracts private investment. 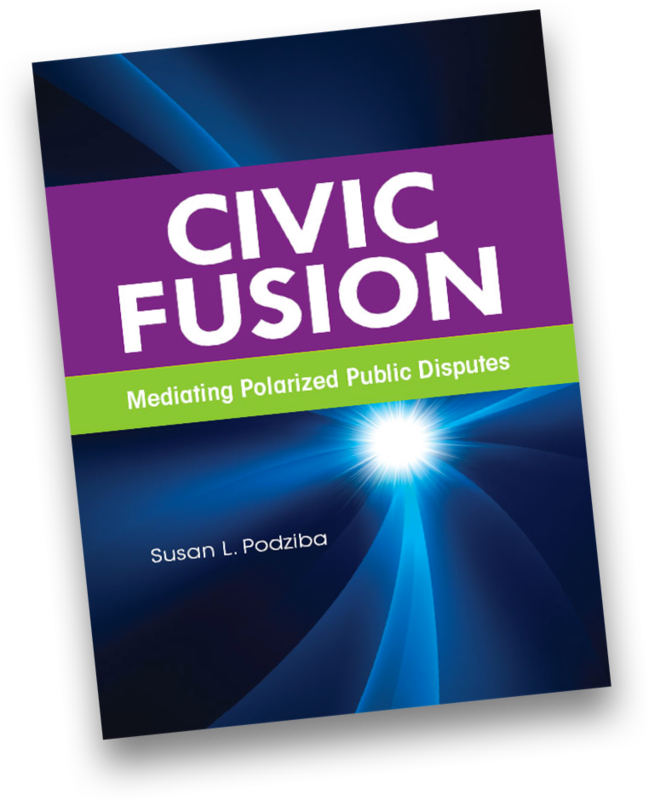 Civic Fusion analyzes how policy mediators carefully design and implement processes to guide representative negotiators to resolve deep disagreements when the status quo is unsustainable, no party can effectively act unilaterally, and all are frustratingly stuck in place. 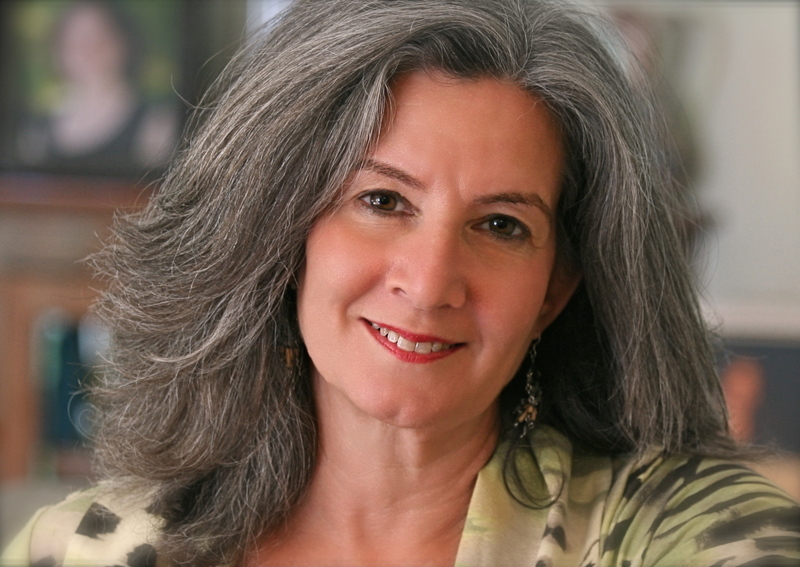 Susan L. Podziba has been a Public Policy Mediator for twenty-five years. Her clients have included the U.S. Departments of Commerce, Defense, Education, Energy, Health and Human Services, Housing and Urban Development, Interior, Labor, and Transportation, U.S. Environmental Protection Agency, and U.S. Institute of Peace. She is listed on the United Nations Mediation Roster and has provided mediation training for the U.N. Department of Political Affairs. Ms. Podziba served as Fulbright Senior Specialist in Peace and Conflict Resolution at the Amsterdam Center for Conflict Studies at the University of Amsterdam, Netherlands, and has taught graduate seminars at the Massachusetts Institute of Technology and the Program on Negotiation at Harvard Law School. She currently lectures and consults internationally.